Here it is 🙂 I am thrilled to share with you the cover for INDIGO INFINITY, the final book in the Indigo Trilogy, coming December 18th! Be sure to join me on my Facebook page to celebrate the 12 Days of Christmas countdown to the release of Indigo Infinity! Every day until the release there will be DAILY giveaways included with teasers, excerpts, and games!! Supernatural powers can be more of a burden than a gift. Two years ago, Indigo Children, Tyler and Toby discovered the hard way their powers weren’t a secret. When they gained immunity from the IIA—the agency that wanted to exploit them—they thought they would finally be able to get on with their lives, but when one of their own goes missing, they prepare to do whatever it takes to find him. When the unexpected happens, the Indigo Children are forced to split up to protect those dearest to them, but with only a riddle and their instincts for guidance, they realize help from mysterious allies may be the only way to cut ties with the IIA once and for all. The only way to close the door on the past is to embrace the future. Sarah finally realizes she is ready to open her heart to love, but her life unexpectedly takes a sharp detour. Meanwhile, Tyler and Liliana learn the universe and their love knows no boundaries, while Grace and Eddie begin to wonder if their relationship is destined to fail before it begins. The IIA has gone too far, and it’s up to the Indigo Children to protect those who can’t protect themselves, before it’s too late. Will they ever have the opportunity to enjoy love and lead normal lives? 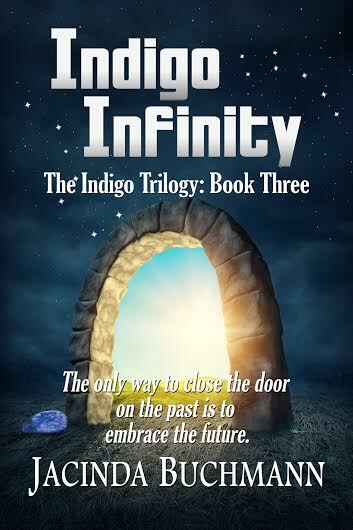 Find out in Indigo Infinity, the fast-paced, action-packed conclusion of The Indigo Trilogy. Have you started reading the Indigo Trilogy yet? Book 1: Indigo Incite is FREE and Indigo Infinity is on sale for 99cents through the end of the year! With only 3 weeks until the release of Indigo Instinct, it’s time to share an excerpt 🙂 Enjoy!!! “What the hell was that all about?” Eddie hissed from close behind. For a moment, she imagined tossing the ice water over his head but didn’t think that would go over well once word got back to Aunt Mae, as it surely would, so instead, she set the pitcher on a nearby table and took a step away to resist the temptation. Want to read more? Indigo Instinct coming May 20th!!! Here it is. I am so excited to share my beautiful cover for Indigo Instinct, Book 2 of the Indigo Trilogy, coming May 20th! Read on to enter a giveaway for a $25 Amazon gift card, check out the exciting trailer, and take advantage of the final day to download Book One: Indigo Incite for FREE! 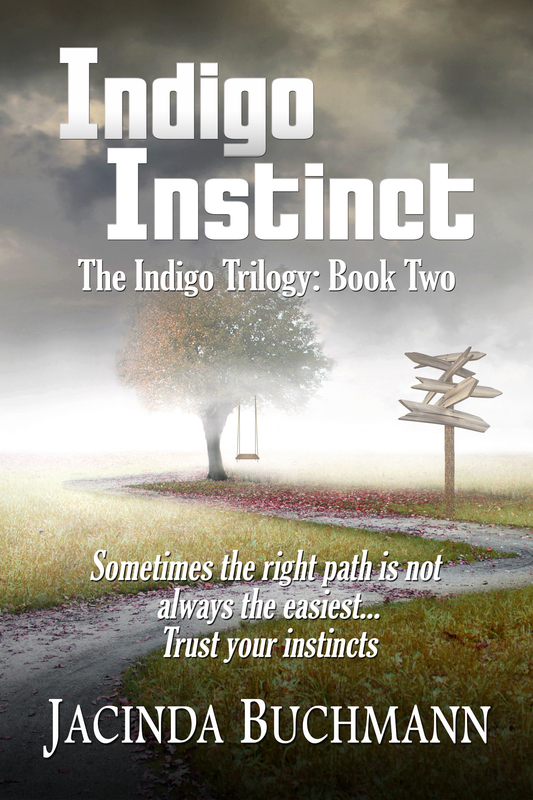 Indigo Instinct, Book Two of the Indigo Trilogy, picks up where Indigo Incite left off to continue the adventure. Identical twins, Tyler and Toby, escaped the clutches of a covert government agency determined to exploit their extra-sensory powers. Before they regained their freedom, they acquired proof of the agency’s existence, proof that was guaranteed to secure immunity not only for themselves but for their friends as well. When the brothers learn that they have unfinished business with the agency, they find themselves reunited with Indigo Children, Liliana, Grace, Eddie, and Rebecka and once again on the run. While Grace and Eddie discover that love isn’t always easy, Sarah’s life is thrown into turmoil, and her guilty conscience leads to fear and distrust of her own heart. Is there a way to give the agency what they want and still retain their freedom? Find out in Indigo Instinct, Book Two of The Indigo Trilogy. Download Indigo Incite: Book One for FREE. Today only!!! Enter to win a $25 Amazon gift card!!! Would you like to read Indigo Incite? Indigo Incite is now available on Kindle. You may also visit Smashwords.com where you can purchase and directly download the story onto any Ebook reader, including Nook and Apple products or your computer! Cover reveal for “Whispers in Eternity” and Giveaway!